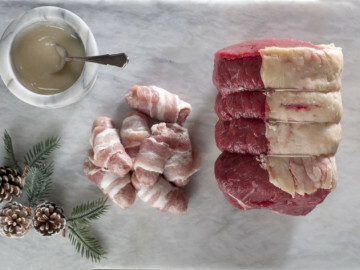 Little Pigs butchers sources the freshest produce for Creamline so you can now enjoy fresh Christmas Meat Packages delivered to your door, Tuesday – Saturday. Why not try this delicious 2kg Cheshire pork loin as an alternative roast over Easter? Lovingly prepared by Little Pigs butchers for tender and tasty meat. 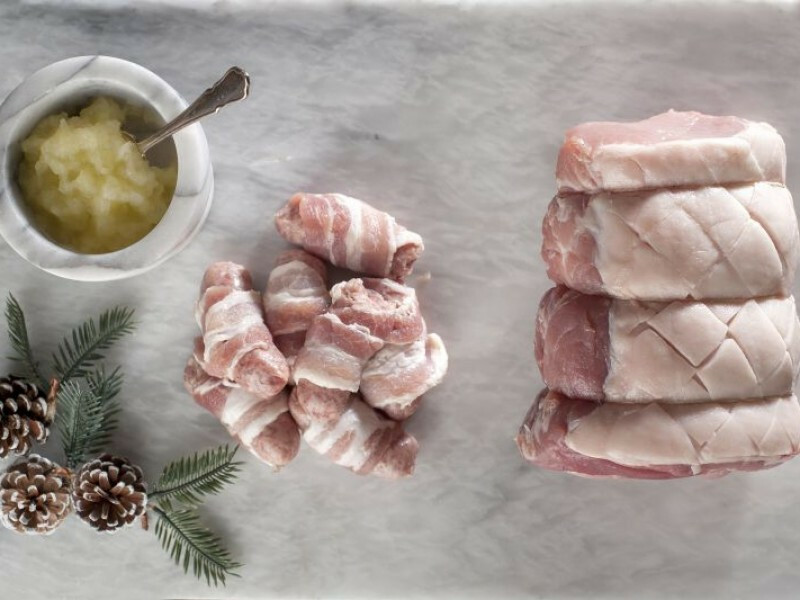 Our Pork Package comes complete with 500g of pigs in blankets and scrummy apple sauce by Mrs Darlington.